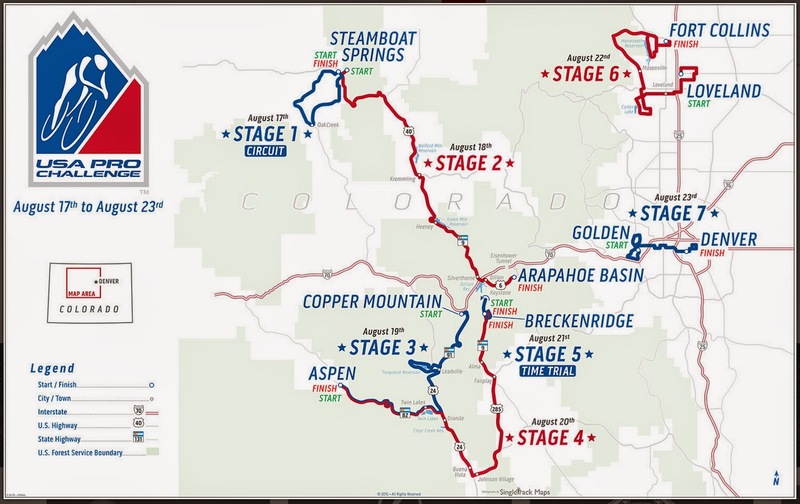 What is the best way to see Stage 4 of the 2015 USA Pro Challenge as a fan? Whether this is your fifth year of attending this exciting race or you are a totally new fan to the event. This easy one-page guide is intended to help locals and tourists better plan for watching Stage 4 in Aspen and Breckenridge, Colorado. 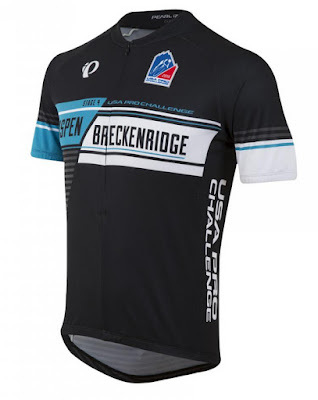 Find what you need to know about Stage 4 of the USA Pro Challenge in Aspen and Breckenridge, below in the following order: Stage 4 dates, stage information, start time, finish time, sprint location, KOM location, classification Jerseys, route map, climb profiles, race organization, city tourism, town websites, local events, road closures, VIP tickets, apparel, TV coverage, Tour Tracker app, media coverage, stage preview, recommendations, where to ride, results, current standings and photos. Stage start area near the team buses and sign-in stage are great places to get autographs; although expect many riders to ride their bikes to the start of this stage. 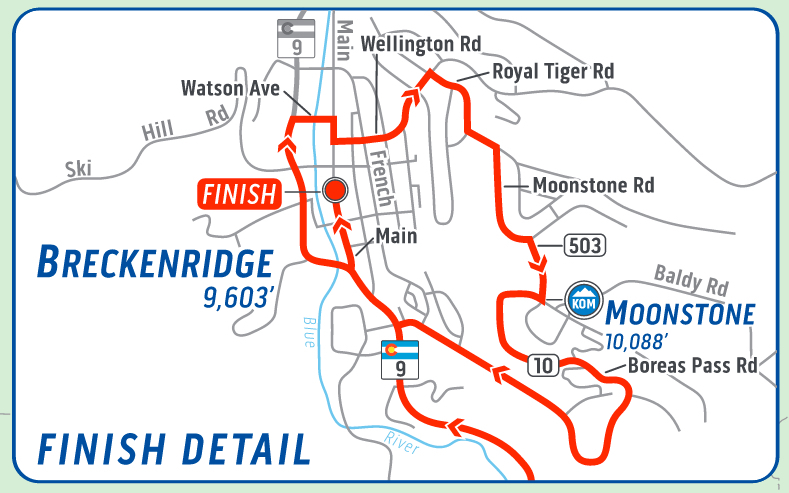 2 (neutral) lap start around downtown of Aspen, before official start on West End St. and Hwy 82. Teams will stay over night in Breckenridge on Thursday night (their highest, in altitude, night's sleep of the stage tour). No dogs are allowed at any special events in Breckenridge. 4:30 pm - Women's Team Presentation at Blue River Plaza, Thursday. STAGE 4 - Aspen to Breckenridge maps - another high altitude day! 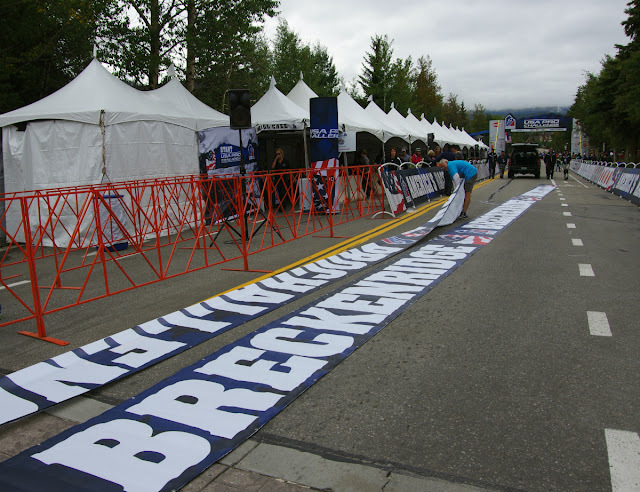 Racers and spectators know this exit from Aspen well, and this entrance into Breckenridge well. 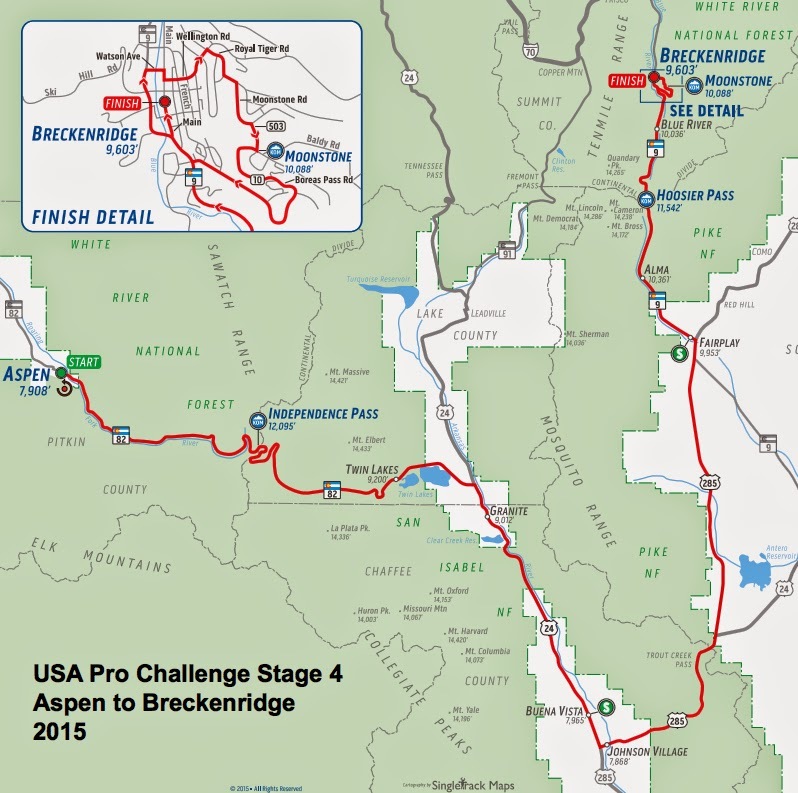 But although it might seems this route is repeated every year, the only time this exact route has been used in the USA Pro Challenge from Aspen to Breckenridge, was in 2013. 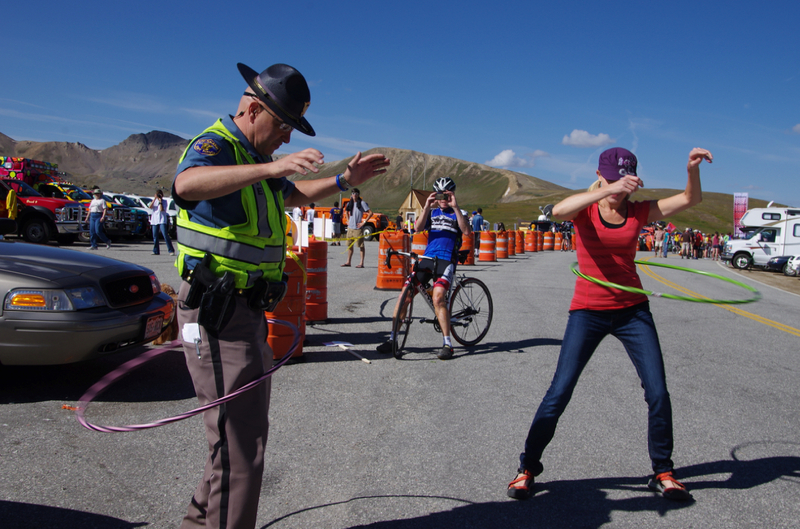 2013 was the year a Forest Ranger was seen hula hooping on Independence Pass and a solo rider was first to the summit of Independence Pass. 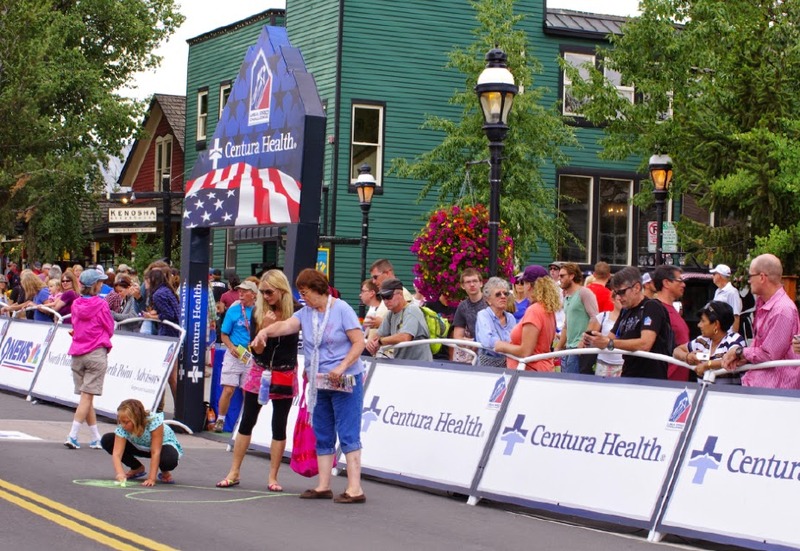 In Breckenridge, these three men stood on the podium at the end of the day. 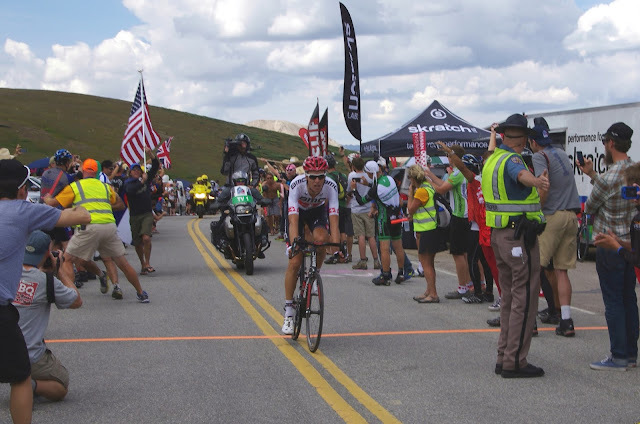 MENS TEAMS: Read much more about the teams selected in this Pedal Dancer® post: Which Teams will race in the USA Pro Challenge 2015? 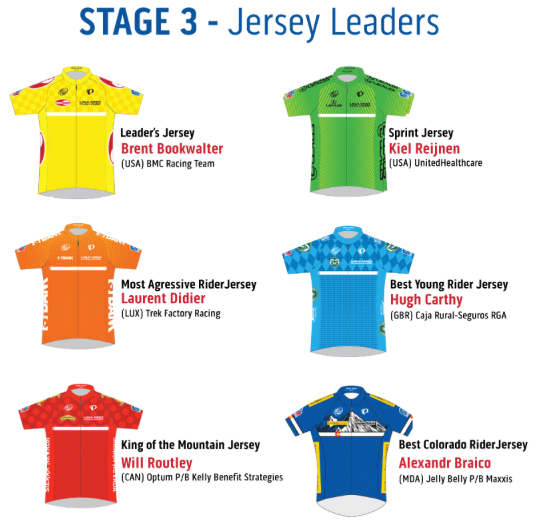 Official startlist of riders has not yet been announced by race organizers. 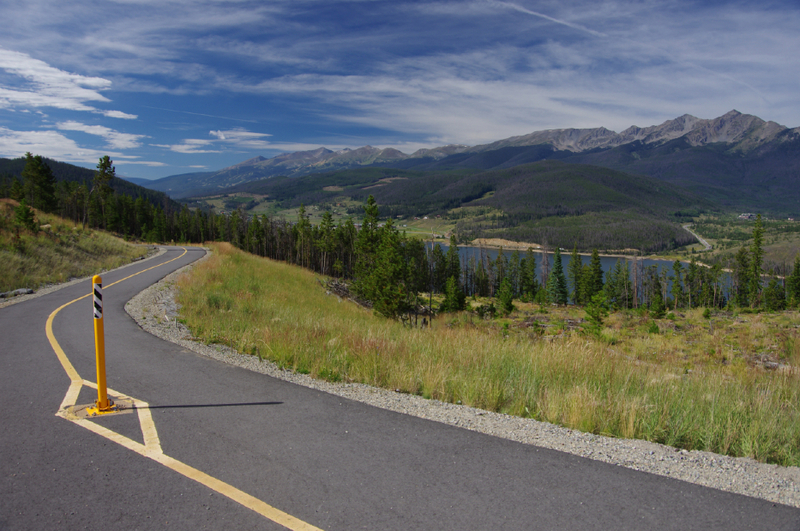 KOM: Independence Pass (12, 096 ft), Hoosier Pass (11,541ft), Moonstone Rd in Breckenridge. 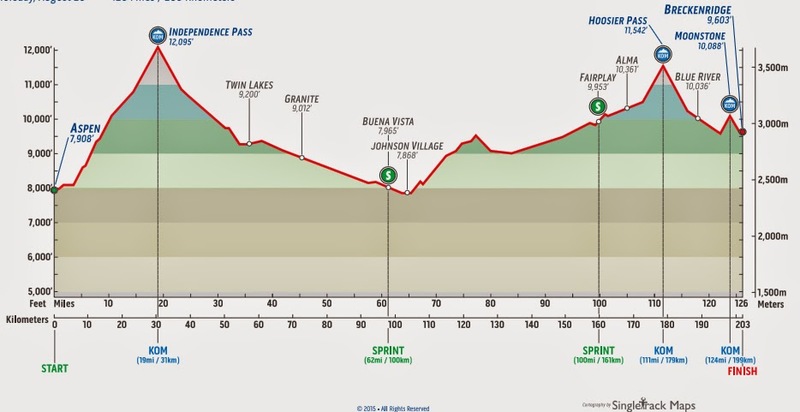 Feed Zone: Location is not advertised for safety; might be in south Buena Vista after the sprint. 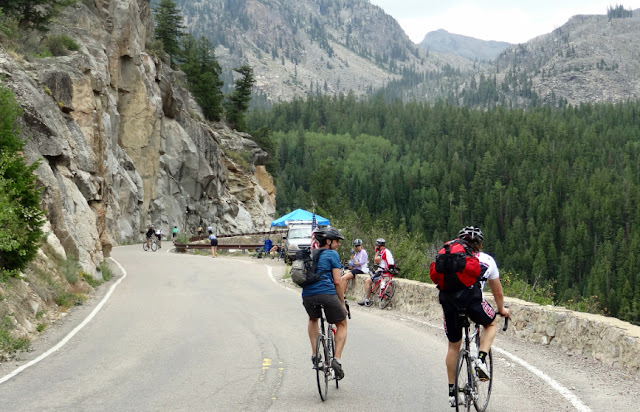 Highlights: Start in downtown Aspen, climb over Independence Pass, sprint in Buena Vista and Fairplay, climb over Hoosier Pass, climb up Moonstone Rd and descend Boreas Pass before finishing on Main St in Breckenridge. Notes: An absolute must climb from town through the narrows to the top. Closed in Winter. Notes: Better than the north side, but big roads lead to this climb with a very fast descent. The Tour of Fourteeners - USA Pro Challenge. 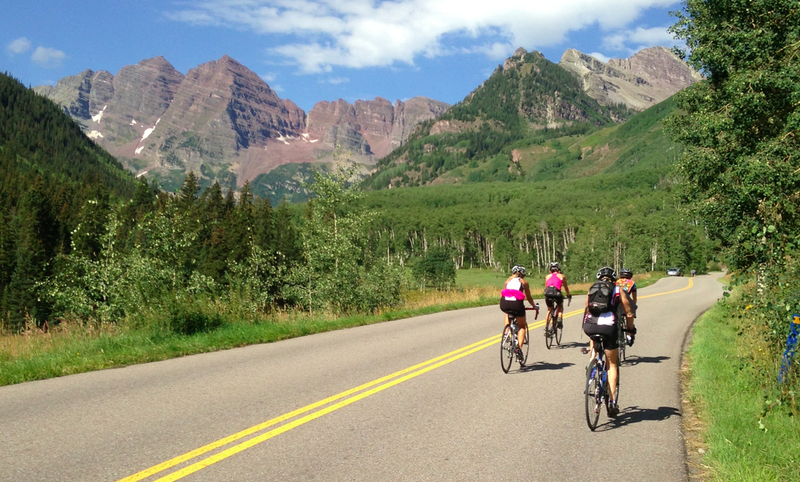 Look at all those 14,000+ mountain peaks nearby the route. Broken Compass Brewing Beer (just off the bike path back to Breckenridge) Location 68 Continental Ct, Breckenridge, CO 80424. Soupz On, Soup, breads, salads and sandwiches. Mon - Sat 11:00am-6:00pm. Location 400 North Park Avenue, Unit b-2, Breckenridge, CO.
Local Market, Groceries and Liquor. Location 116 North Main Street, Breckenridge, CO 80424. Giampietro Pasta & Pizza, Good pasta and pizza in this very small restaurant, also has take-out. Open daily 11:30am- 9:30pm. Location 100 N. Main St. # 212, Breckenridge, CO 80424. Downstairs at Eric's, Good for big parties, families and kids, quite dark downstairs but popular. Location 111 South Main Street, Breckenridge, CO 80424. Starbucks, As usual coffee, pastries and sandwiches. 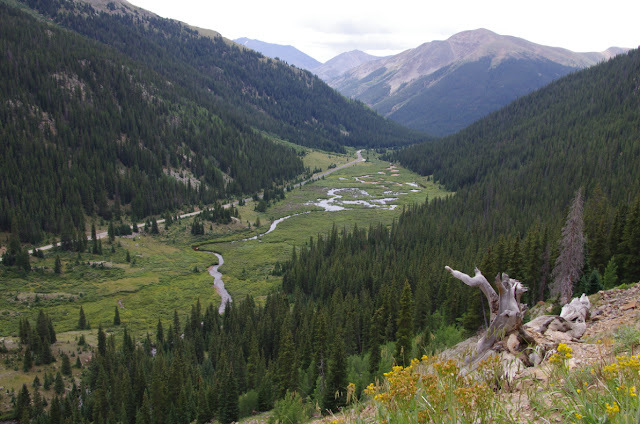 Location 225 S Main St, Breckenridge, CO 80424. Crepes a la Cart, Crepes to go, outside seating only. Located in a small trailer, very popular for quick snacks all day long. 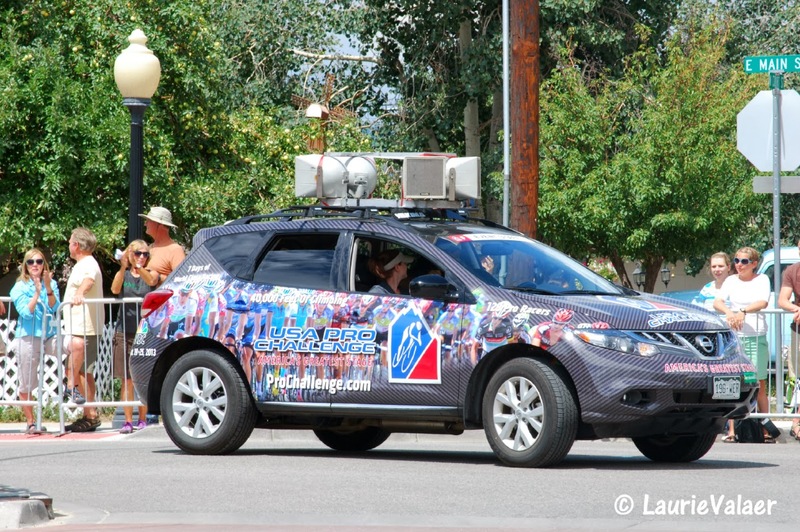 Location 307 South Main Street, Breckenridge, CO 80424. Empire Burger, Burgers! Open daily 11:00am - 1:00pm. 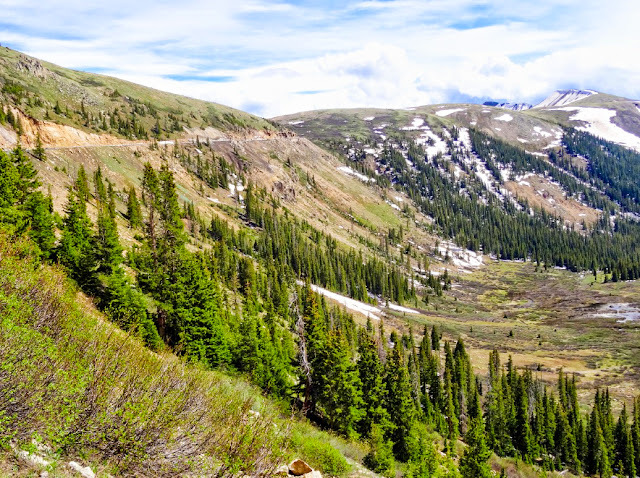 Location La Cima Mall, 500 S Main St, Breckenridge, CO 80424. Blue Moose Cafe, Standard breakfast and lunch. Open daily 7:00am - 1:00pm. 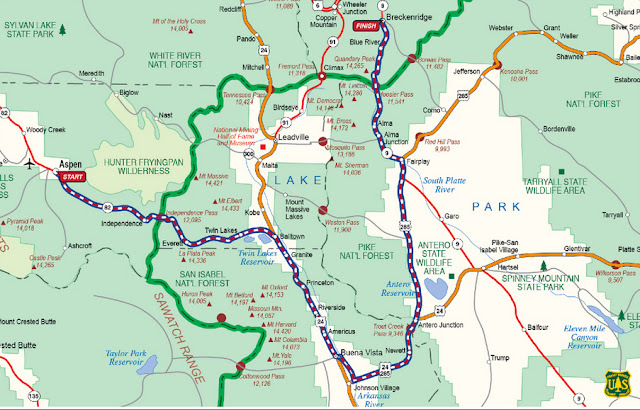 Location 540 S Main St, Breckenridge, CO 80424. Breckenridge Brewery, Beer and basic brewery food. Open daily 11:00am-11:00pm. 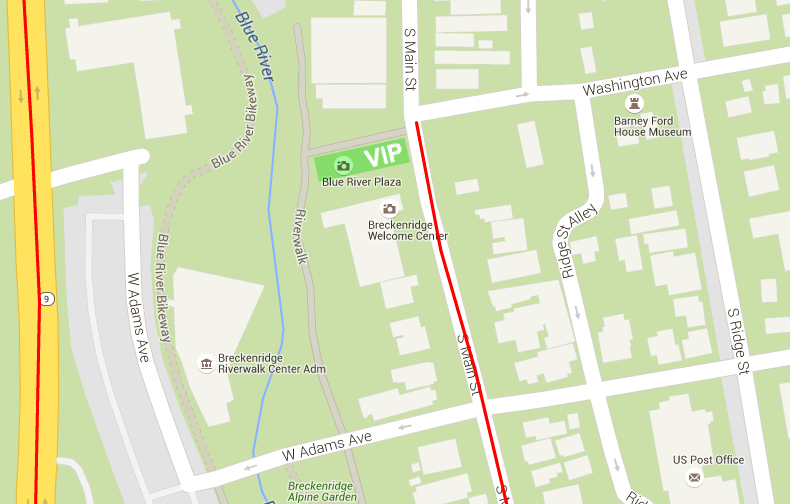 Location 600 South Main Street, Breckenridge, CO 80424. 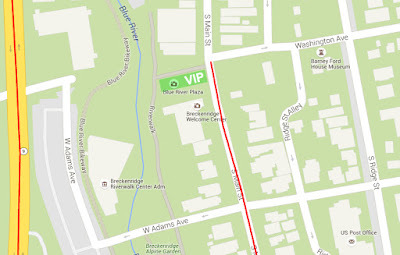 The VIP tent will be in Blue River Plaza (marked below) as it has been in past years. The VIP tent usually extends down the pretty plaza, with the short end of the tent on the street. Last year additional stadium seating was added for better VIP viewing. The VIP tent in right near the finish line. 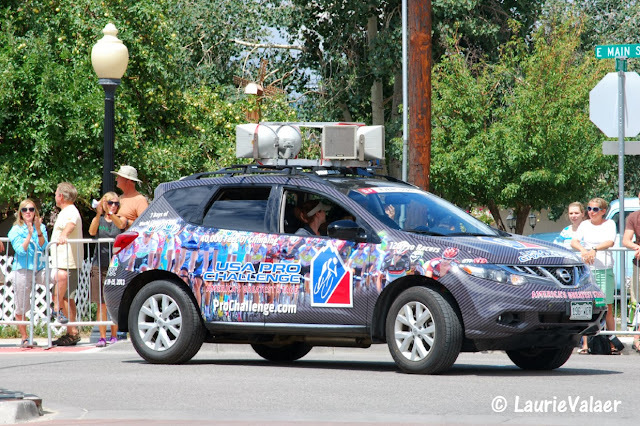 Media Coverage of the race will be provided by: Velo News, Cycling News, Steephill.TV & VeloImages, The Denver Post, Pedal Dancer® and Pro Velo Passion.